(Staff Photo / McDaniel Free Press). The College has announced it will open a new block of housing specifically for unvaccinated students. This new housing decision comes in an attempt to create a campus inclusive to all students beliefs. This new housing is a step in a new direction for the College. Minority groups are finally being heard. The new residence hall will be built on the far end of campus near the golf course, a private and nearly secluded location for those who choose to reside there. Incoming and current anti-vax students will have priority choice of living in the new dorm, and will even be able to move in as early as tomorrow. The new building also offers new, high-tech video software that allows these students to be able to attend their classes right from their dorm rooms. 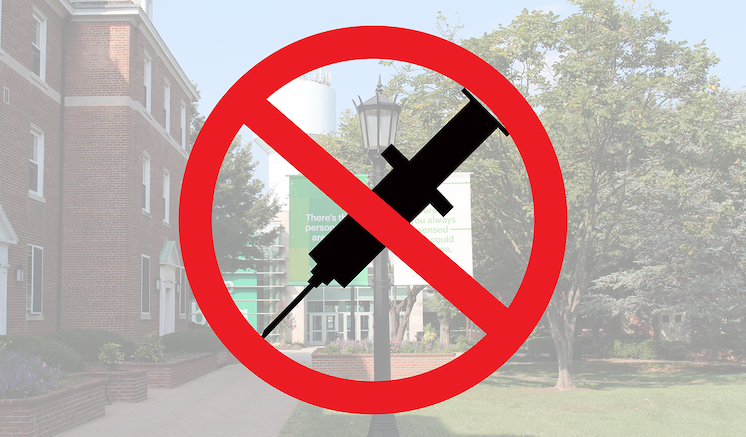 The College wants the anti-vax community on campus to feel right at home here at McDaniel, as quickly as possible. They deserve to live just as comfortably as the rest of us, apparently. The College also assures the community that this new housing has nothing to do with the recent measles outbreak on campus.